Compared to other coating steel concrete can be an extremely difficult and expensive endeavor without the proper products and guidance. 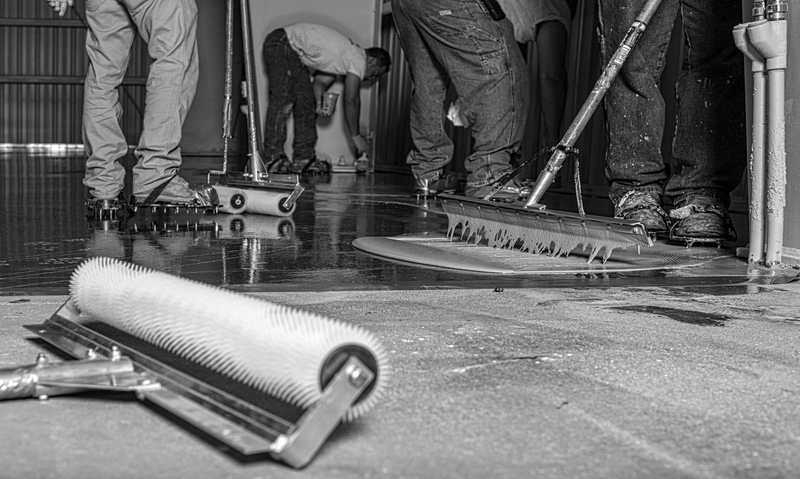 But floor coatings are critical to safe, efficient operations because they can reduce slip and trip hazards, protect concrete from harmful spills and heavy abuse and increase an operation’s overall workplace environment. At best, underestimating the necessity of the right warehouse floor coating can hold an operation back from running at peak efficiency. At worst, it puts employees lives and assets at risk and firms on the hook. MMA – Low-glare Methyl Methacrylate (MMA) systems are resistant to some acids, alkalis and solvents and boast a fast cure time—you can walk on an MMA-coated surface in fewer than two hours. MMA can be applied at lower temperatures, can withstand elevated temperatures and has a much higher dry film thickness (DFT) than other systems, making it resistant to scratching. But floor preparation cannot be overlooked as MMA systems don’t bond as well to substrates compared to other options. Good ventilation is required when applying odorous MMA coats. MMA systems require as many as four coats and are costlier compared to other systems. Polyaspartic – This hybrid system is an offshoot of epoxy and urethane systems that offers the advantages in a single coating what two coatings of epoxy and urethane systems can muster. Adjustments in polyaspartic formulations allow for curing times that suit individual projects and can be applied well below freezing. Walk-on time is just four hours and polyaspartics are safer to use due to only moderate odors. These systems are costlier than epoxy / urethane and 100% solids systems but offer better flexibility compared to the other options. Check out GripCrete 9000 PA.